For the cups and balls worker the final load is often one of the most memorable aspects of the routine. 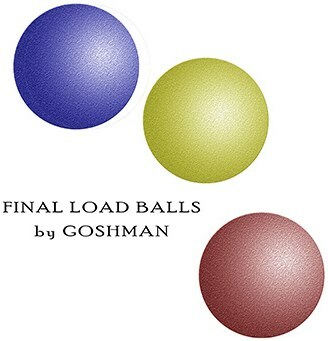 Therefore we're pleased to be able to bring you this set of three Goshman Final Load Balls. Due to the extra stiffness and firmness of these in comparison to regular sponge balls, they're ideal for loading in at the end and come as a pack of three in mixed colours.